Darci Alexis has been active in the East Bay Modern Quilters, teaches, and is a new (and amazing) long arm quilter. A graphic designer and art director by trade, she sews, she pieces and she quilts. 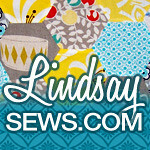 You can also find her on her site Darci Sews. We all saw Darci take to longarming so easily and are pretty excited to have another modern longarmer in our midst. Though truth be told Darci traverses through modern, traditional and just about ever style seamlessly. We’ll show some extra close-ups of her quilting along with sharing some of her quilts. Many of you have probably already seen her beautiful “Feminist Quilt”, which by the way, has a pattern now, here. The December exhibition at Bay Quilts in Richmond, CA featured “Artwork from Five Years of Creative Expression” by “The 12×12 Challenge” alumnae. The premise: 12 Women commit to creating 12 works of art in 12 months each measuring 12’x12″. The 12×12 groups meet monthly at Textile Dream Studio in Berkeley. Here we have a selection of the pieces in the show (there were a total of 150 works! ), followed by a little look-see into Bay Quilts, so scroll down for that! 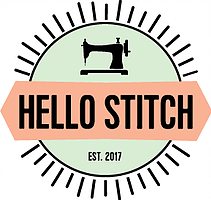 For those of you who live anywhere near the San Francisco Bay Area or who travel here, there is a new fabric shop in town! I had heard about Bay Quilts, but didn’t really get it until I visited in person. Their huge selection of solids of so many varieties is a dream for the modern quilter. Located right off Central Ave from either 80 or 580 in Richmond but on the edge of Albany, this new fabric store has an astounding selection of fabrics with lots of room to move, a gallery wall and Angie Woolman’s long arm services upstairs. They have every single kona cotton color ($6.50 range/yd) color a variety of shots, peppered cotton, hand-dyed muslin, chambrays and yarn dyes. There is hand-dyed wool, hand-dyed silk-cotton, Azure Blue Textiles, Kasuri Dyeworks, Dyesmith Gradations. There are batiks, Japanese prints from Kokka, Echino, Lecien, Kona Bay and Daiwabo. There are organics from Mona Luna, Cloud 9, Birch and Art Gallery. And then prints from the usual suspects: Alexander Henry, Kaufman, Westminster, Riley Blake, Andover, In The Beginning, Art Gallery, Hoffman, Clothworks, etc etc etc.